The Index opened negative around 8511 but moved into positive territory within the first few minutes and stayed strong making a high of 8564, but profit booking towards the end saw it close flat at 8543.05, gain of 10.05 points. The broader market was positive, with 980 advances to 549 declines. The range at the start of series stays at 8200-8800. Call option 8600-9100 added 9.91 lacs OI with short covering seen at 8500 and below strike prices. Nifty Open Interest is at 1,68,53,800 down by 4,04,900, with no change in price, most probably long liquidation/short covering. 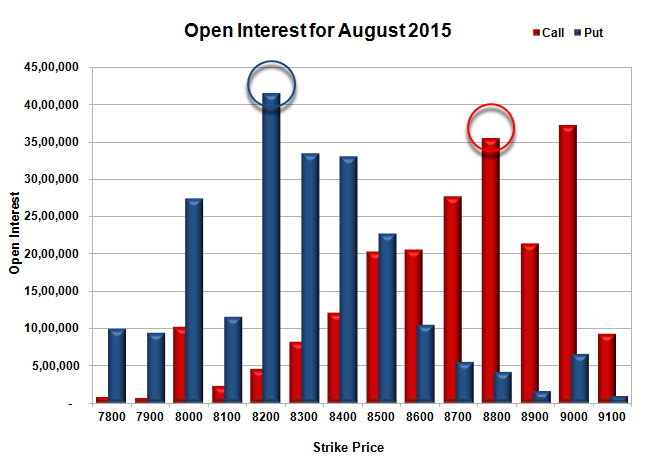 Bank Nifty Open Interest is at 19,85,100 down by 36,750, with increase in price, most probably short covering. FII’s sold 2.46 lacs Futures, which includes 8277 contracts long liquidation and 1581 contracts short build-up, with decrease in net OI by 6696 contracts (includes 31175 longs to 41033 shorts for the day) and the Average Price comes to 9004.47. FII’s Index future open contract as on date is 495465 Longs to 122067 Shorts, Net Long 373398 contracts. Initial support stays at 8500, with OI of 22.67 lacs and below that at 8400 with OI of 33.04 lacs. 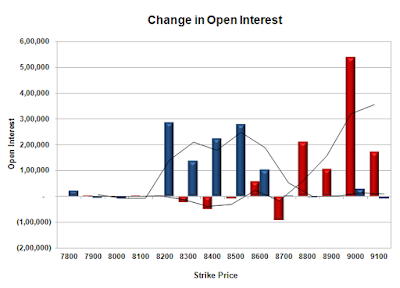 Initial resistance at 8600, with OI of 20.55 lacs and above that at 8700 with OI of 27.74 lacs. 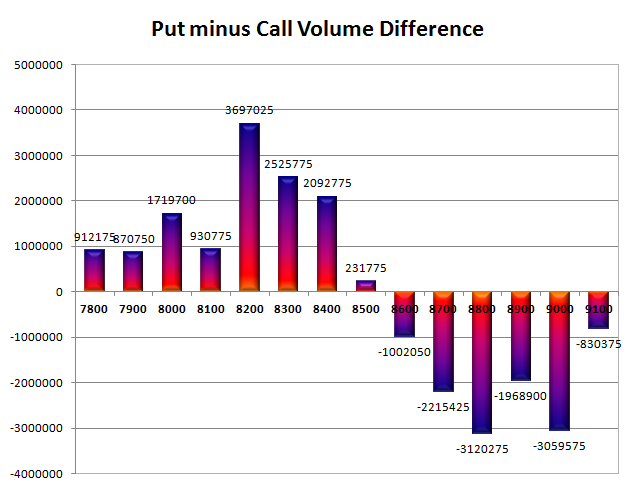 Day Range as per Option Table is 8473 - 8605 and as per VIX is 8474 - 8612 with 8538 as the Pivot.